What is B Infinite "scratch-off" card? B Infinite "scratch off" card is a card that has a pre-assigned 6-digit PIN that allows member to log in to B Infinite website as well as performing redemption. Can I change the PIN number on the "scratch off" card? Yes. For security reason, you are advised to change the PIN number (6-digit) after your first login at B Infinite website. I did fill up the application form. However, after login, I can't view my details. Upon signing up, kindly allow for the information registered in the application form to be uploaded in the system. Can I update my profile data at the B Infinite website? Upon signup, your profile data will only be updated after the data entry process which will take between 3 to 4 weeks. Please notify us at 03-2141 8080 or e-mail us at enquiry@binfinite.com.my should your profile has not been updated after this period. What is the difference between "non-scratch off" and "scratch-off" card? Non- scratch off card: You will be able to login to view your profile and transaction history after you receive your PIN via SMS and email. Scratch-off card: You will be able to log in to view your transaction history (if any) instantly. My card is a "non-scratch off" card. Do I need to change to "scratch-off" card? No. 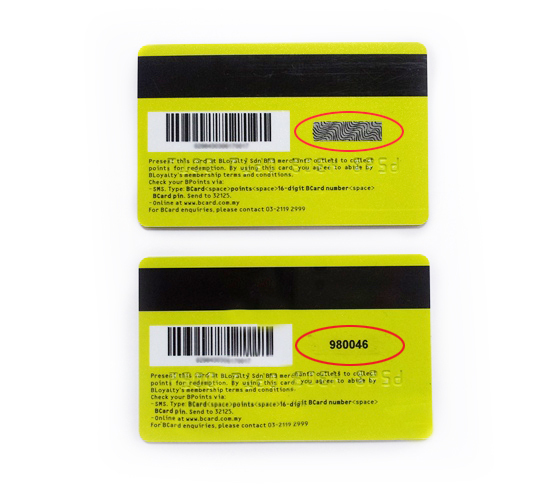 You do not have to change your "non-scratch off" card to "scratch-off" card as both cards have the same functions.